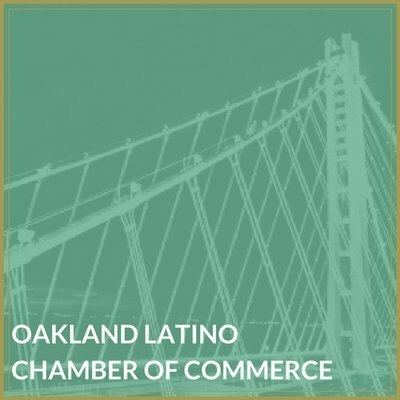 Oakland and Alameda are thriving art centers of the East Bay and continue to showcase their work through different mediums in hopes to express themselves and bring awareness to many issues. But since we love Great. Big. Graphics. and wall murals, we’re taking a look at some of the most iconic wall murals in the area. Though there are so many great ones, these are just a few that if you’re an East Bay native, you’ve probably seen before. This historic piece is located right at the end of the Park St Bridge as you enter into Alameda. This mural has been located at the corner of Park and Blanding for years and although much information can’t be found about the original artist, most people are expecting when they come across the bridge to see this wall mural. After Stephen Curry’s win of the 2014-2015 MVP award and the Golden State Warriors playing in the 2015 NBA finals, this wall mural was created by the Illuminaries. It captures the essence of Oakland and gives tribute to Mac Dre by incorporating the infamous thizz face. Although these are in two separate locations, they were created by the same artist, Dan Fontes, and carry the same theme of animals. 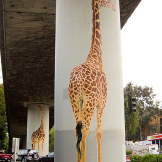 The Giraphics art is located at the intersection of MacArthur and Harrison under the 580 freeway and was created in 1984 still holding its vibrant color. 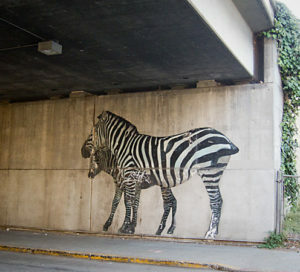 The zebra mural is located on Broadway, also under the 580 freeway and was created in 1985. These images were taken before restoration occurred in 2016 where Dan Fontes returned to refurbish his original creation. Between the two of these murals, you know you’re in Oakland when you see them. In an area where tagging can be so common, Strauss Carpets decided to have their own art created with work that was originally created by yet again Dan Fontes. It was later added to by Joaquin Alejandro in 2008 and now stands out with its vibrant color. 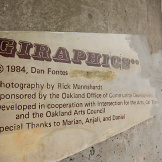 You can find this beauty on 23rd Ave right on the border of Oakland and Alameda before you get to the Park St. Bridge. This new addition to Oakland art captures Kevin Durant of the Golden State Warriors and Marshawn Lynch of the Oakland Raiders. The artist of this is JCRo who only does his work using triangles. You can find this piece on the side of the Shoe Palace on Telegraph. There are tons more inspiring, spiritual, and political murals in between Oakland and Alameda. These are just a few. If you’re interested in getting your own wall mural, we can help!